The normal tissue atlas contains information regarding the expression profiles of human genes both on the mRNA and protein level. 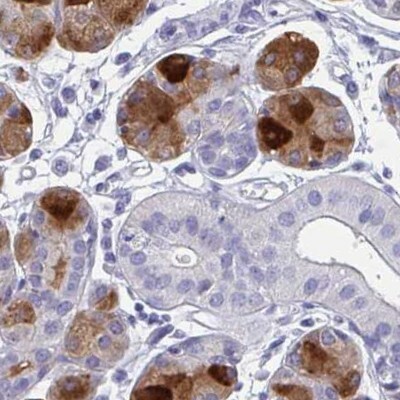 The protein expression data is derived from antibody-based protein profiling using immunohistochemistry. Altogether 83 different cell types, corresponding to 44 normal human tissue types, have been analyzed and the data is presented as pathology-based annotation of protein expression levels. 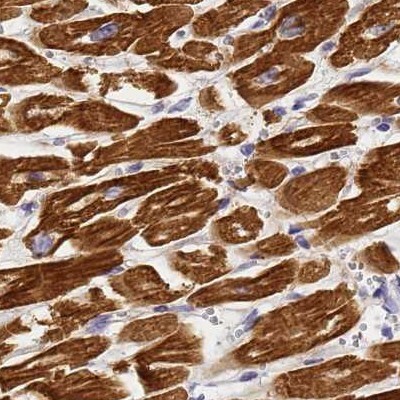 All underlying images of immunohistochemistry stained normal tissues are available as high-resolution images in the normal tissue atlas. The protein data covers 16333 genes (83%) for which there are available antibodies. The mRNA expression data is derived from deep sequencing of RNA (RNA-Seq) from 32 major different normal tissue types. HE stained cryosections of tissues used for RNA extraction and sequencing are displayed in the normal tissue atlas. Selective cytoplasmic expression in cardiomyocytes at the protein level, and tissue enriched in heart muscle at the mRNA level. Nephrosis 2, idiopathic, steroid-resistant (NPHS2). 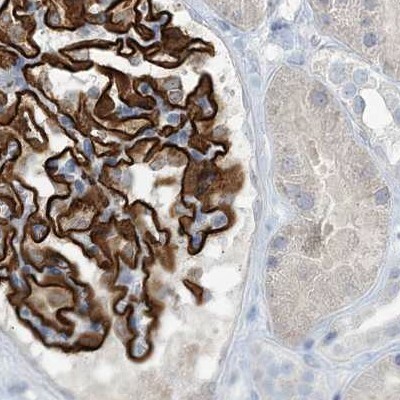 Selective membranous expression in renal glomeruli at the protein level, and tissue enriched in kidney at the mRNA level. Selective cytoplasmic expression in salivary acini at the protein level, and tissue enriched in salivary gland at the mRNA level.